Lock in a great price for Hotel Bucintoro – rated 9.3 by recent guests! Everything! The complimentary breakfast was fabulous. The rooms are gorgeous. They are clean and smell nice. The view is breathtaking. The staff was wonderful! What a perfectly run hotel!!!! People were so nice and helpful. Clean and breakfast was excellent. Great little hotel away from the tourist hustle near SanMarco. 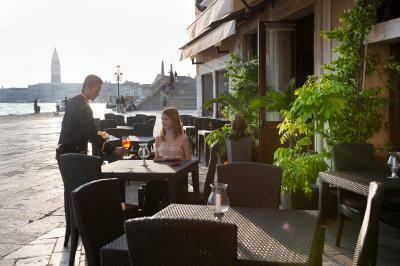 San Marco was a ten minute walk away and the Castello area is great since it is a local neighborhood. You can’t beat the view from your room. Breakfast was very nice and gave you enough fuel to last till lunch. They make a very good cappuccino. We were a unable to stay at the hotel but the staff we so helpful in arranging alternative accommodation and a transfer from Venice airport making our experience so wonderful and easy therefore we wished to give this our highest review for excellent service ! 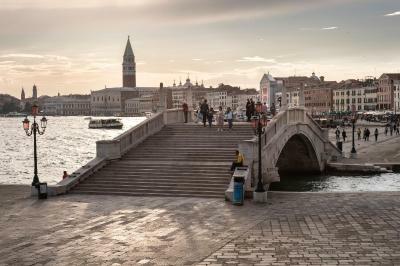 Great location, convenient to all Venice yet far from the tourist crowds. Very unique and tasteful interiors. Almost like you are staying on a vintage yacht. Excellent location and friendly staff make this small but beautiful hotel a great choice for a stay in venice. Carlos and all the staff were beyond amazing. Warm, informative, and accommodating. I would stay here again on my next trip to Venice! A small hotel, very clean and uniquely interior-decorated to resemble a yacht . On the lagoon, a bit of a walk to St. Mark's and the Doges Palace, but close to water transport. We had visited major sites on a previous trip and were looking for a more local feel. Carlo, the night manager, was wonderful. He sent us to great places to shop, away from crowds, and made reservations for us at lovely restaurants near the hotel. Breakfast at the hotel was a nice buffet in a cozy room looking out at the lagoon. The Aperole cocktails are also delicious! If you want a more personal experience in Venice, this is a very good choice. Great views of the sun rising above the lagoon from our bedroom windows. Ask for rooms on the 3rd or 4th floor if possible in case a large ship docks in front of the hotel. This is true of several of the lagoon view hotels. Many thanks to Carlo and the wonderful staff! loved the location. Was near to a water shuttle site so very convenient, but there weren’t hordes of tourists so that was nice. Hotel Bucintoro This rating is a reflection of how the property compares to the industry standard when it comes to price, facilities and services available. It's based on a self-evaluation by the property. Use this rating to help choose your stay! 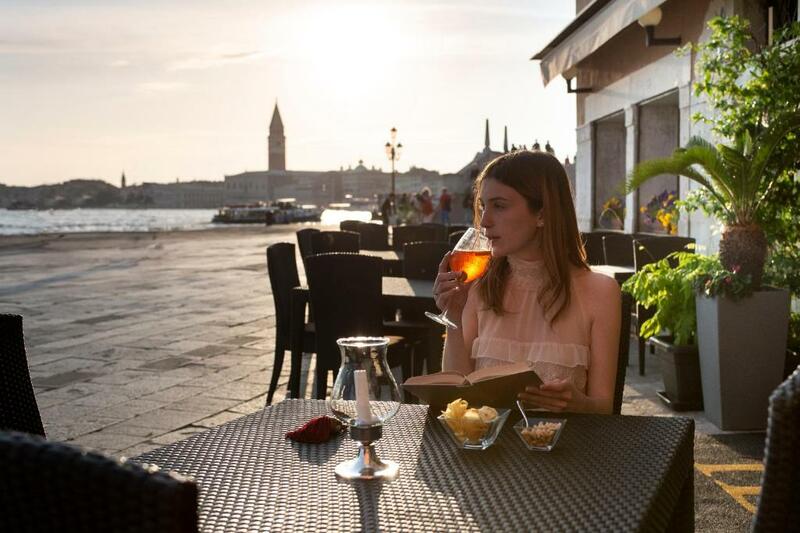 Right on the waterfront in the heart of Venice and next to San Biagio Church, Hotel Bucintoro offers elegant rooms and suites with panoramic views over the Venice Lagoon. The Bucintoro Hotel is just across the bridge from the Vaporetto (water bus) stop, Arsenale. Accommodations here comes with air conditioning, satellite TV, and free Wi-Fi. Each room features a great view that includes Saint Mark's Square, Palazzo Ducale, the Campanile, and the Island of San Giorgio. Hotel Bucintoro is set in the historic district of Castello, a 10-minute walk from Saint Mark's Square. The area is still full of small neighborhood shops, cafés and Venetian inns. When would you like to stay at Hotel Bucintoro? Featuring views of Saint Mark's Square and the Venice Lagoon, this room comes equipped with air conditioning, satellite TV, and free Wi-Fi. Featuring views of Saint Mark's Square and the Venice Lagoon, this spacious junior suite comes equipped with air conditioning, satellite TV, and free Wi-Fi. Boasting views of the Venice Lagoon, this room comes with air conditioning, satellite TV, and free WiFi. This suite has a soundproofing, mini-bar and cable TV. House Rules Hotel Bucintoro takes special requests – add in the next step! ATM card Hotel Bucintoro accepts these cards and reserves the right to temporarily hold an amount prior to arrival. Hotel Bucintoro accepts these cards and reserves the right to temporarily hold an amount prior to arrival. The professional attitude in comfort and friendliness. Great location , lovely hotel, staff all very good. Simply fantastic....,as we’ll as a view of Venice just like a Canaletto,second to none.the best hotel in Venice at night because of the serenity far from the crowds in a majestic location next to the museum of maritime history flying the Venetian flag. Having to leave. 5 nights was not long enough! Kind too far from main stream. Bar closed too early and need more mirrors in room (only small one in bathroom - no good for two ladies sharing! Breakfast simple but nice! Fresh fruits, nice coffee! Every day different tarts and the breakfast room has beautiful view of Venice! Lovely hotel in a super nice location with friendly staff. Nice and quiet area beautiful view over the city and only short walk to all of the attractions. Room was clean and very comfortable. Staff were extremely friendly and helpful. Breakfast was lovely, ample food choice. Hotel was in an ideal position for tourist attractions. Staff very helpful. Room in hotel was fab.